L’Oréal Professionnel presents two new looks inspired by the ColorMeFrench technique. Get ready to celebrate the big Indian festive season with classy French looks created specially by your hairstylist. As the festive season draws closer, the sounds of celebrations echo from all corners of our country. From the rhythm of ‘garba ras’ to the colours of ‘rangoli’ and from the blowing of conch shells to the lighting of diyas, the whole of India gets lit up with a festive fervour. Add glamour to your festive avatar with two brand new looks created by L’Oréal Professionnel. L’Oréal Professionnel once again brings to the fore its ColorMeFrench techniques. The two new looks unveiled for this festive season are the Mulled Wine Contour and the Champagne Gold Highlights. Now here’s a look that brings out the best in a face with cool skin tone! This beautiful iridescent colour is created with Majirel 4.20. The contour around the face is achieved with the expert placement of the Majicontrast Magenta Red, which recreates the magic of a blushing Autumn/Winter sky. Rich and deep hues make this look an instant pick-me-up for those looking for a makeover. Ladies with warm skin tones, rejoice! Wear your crowning glory like a golden halo around your face with the Champagne Gold Highlights look created with Majirel 5.3 and accentuated with highlights of Majiblond 900S. The highlights can be varied to suit your taste and to strike a right balance to match your skin tone. As you decide upon a new look for the festive season, take your pick from these two glamorous creations by L’Oréal Professionnel. 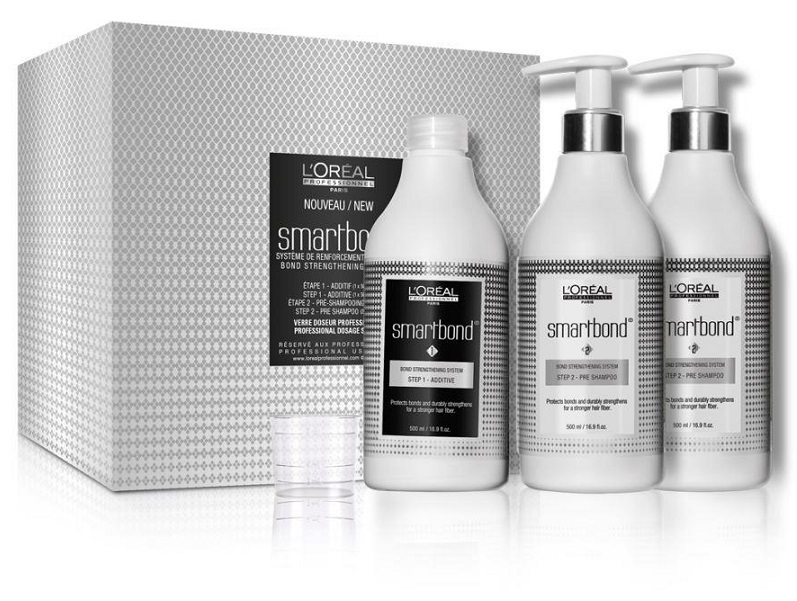 Make sure that your colourist is adding Smartbond to the colour mix for strengthened hair that’s soft like never before. Colour your tresses to your heart’s desire and keep them strong and lustrous with Smartbond. This festive season, choose your style mantra and wear your new look with panache. Available only at L’Oréal Professionnel salons across the country.